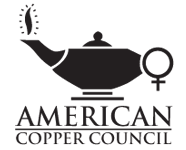 Get your business name in front of your peers in the copper industry! We offer the following opportunities. Don't see what you need to accomplish your marketing goals? We are always open to discussing creative custom options. All sponsors will have their company name and logo included in all references to sponsorship, including in the program, during the welcome greeting by the ACC Chairman, and linked on the website. Sponsoring the ACC Golf Tournament allows you to put your business name in front of participants multiple times and for approximately 5 hours. Signage with your company name and logo will be displayed at the entrance to the bus, on the beverage carts, at the tables where lunch is distributed, inside of the lunch boxes, at the staging area and on each individual golf cart. You have the opportunity to leave promotional items or a letter for each participant on the carts. The Registration Sponsor will be placed next to the ACC Registration Desk for the duration of the meeting. You will be provided one table for your display and materials. This placement allows you to interact with all attendees as they register and socialize through the meeting dates. We will provide a sign with your name and logo that will be placed at the ACC registration area. Promotional items and additional signage encouraged. This is the most well-attended event of the meeting. Your company signage will be displayed at the entrances to the reception room and on all bars and serving tables. Opportunities for remarks and additional displays available. The Presentation Sponsor will be highlighted during our morning presentations. Signage with your company name and logo will be at the entry doors and on the presentation screen as attendees enter the room. The ACC Chairman will thank you as they welcome attendees and kick-off the presentations. Your company name and logo will return to the screen for breaks. Promotional items may be distributed. The Coffee Break Sponsor will have signage with company name and logo on the coffee break tables which are placed prior to the presentations and remain until we break for the day. Be seen while attendees get their needed caffeine fix to start the day, and to keep going throughout it! This is a unique opportunity offered at our Seattle Meeting for a company to support the exciting time we will spend at Boeing, starting with a 90-minute factory tour, which is the only place in the world you can see the final assembly of the 787 Dreamliner, 777, 767, and the Queen of the Skies, the 747. After touring the massive plant, we will enjoy the Aerospace Gallery over a reception and dinner. Have your company name front and center as people enjoy this rare opportunity. Signage will be provided for the entry to the bus, entry to the reception and dinner, and on all bars. Sponsor the ACC's wine tour and tasting at Chateau Ste. Michelle Winery on Thursday, May 23 and have your company name associated with the fun closing to the meeting. Signage with company name and logo will be provided at the entry to the buses and on-site at the tasting. Opportunities for specialized promotional items. The glass, the myth, the legend! The ACC glasses are the link to our past that we are happy to hold onto. They have been the memento of each meeting for over 30 years. Some have been collecting them for three DECADES! Signage with company name and logo will be provided at the glass distribution table and the registration table.